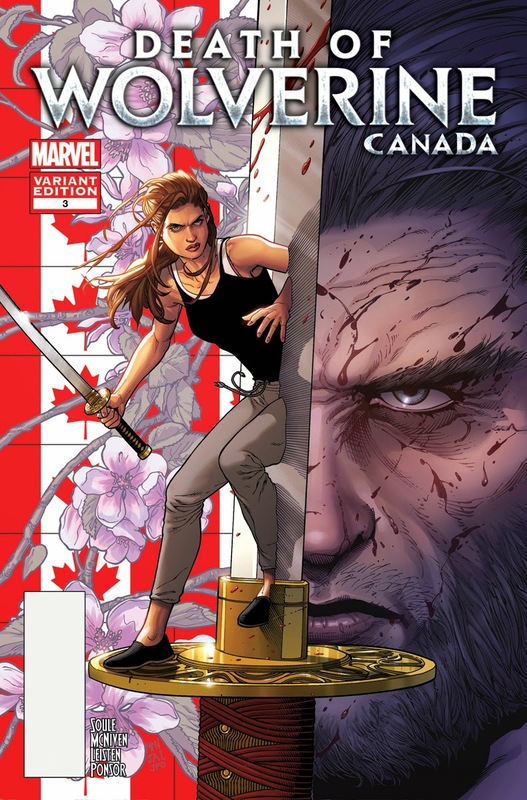 Angry Koala Gear: Marvel Reveals Canada Themed Variants for DEATH OF WOLVERINE! 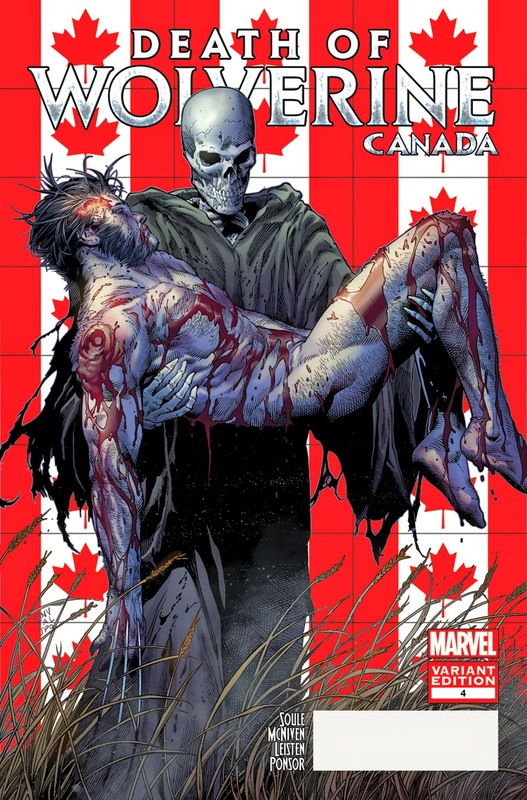 Marvel Reveals Canada Themed Variants for DEATH OF WOLVERINE! He is many things to many people. Hero. Teacher. Friend. X-Man. Avenger. But above all else, he is one – Canadian! Today, Marvel is proud to unveil “Canada Variants” for all four issues of the highly-anticipatedDEATH OF WOLVERINE series! 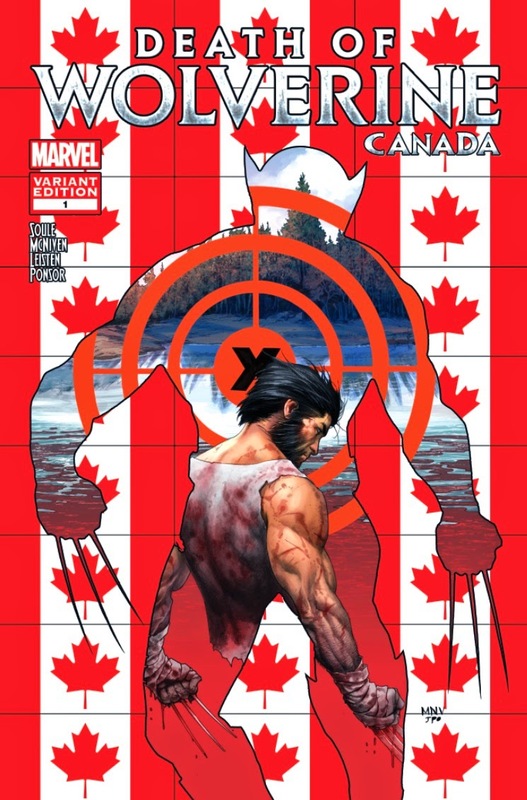 Comic superstar Charles Soule & Steve McNiven explore the untimely end of the Great White North’s most well-known mutant hero. 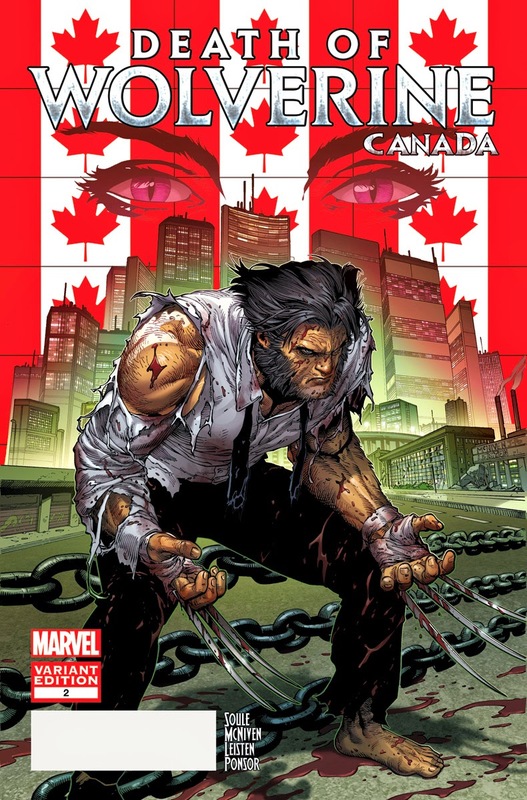 Each cover features stunning cover art gorgeously rendered by Steve McNiven and proudly displays the Maple Leaf flag of Logan’s proud home and native land of Canada. Left without his mutant healing factor, his enemies now close in for the kill – and the Wolverine faces his greatest battle alone. As he runs the gauntlet of his deadliest foes, be there when the once indestructible killing machine makes his final stand! What does a world without Wolverine look like? Be there when DEATH OF WOLVERINE shakes the foundations of the Marvel Universe this September!